During a road trip, we pulled off at an exit to grab some lunch. Unfamiliar with the area, we turned onto a wide downtown street with a zillion businesses, thousands of which were restaurants. In the sea of signs, golden arches stood out. Can you guess which restaurant captured our attention? I'm sure many of the other restaurants served fantastic food. Some fast food. Some catering to a memorable dining experience. But the golden arches had a familiarity to them that we appreciated. The library pictured in the photo use to stand in Cincinnati. My first thought when looking at this scene: why did the man climb to this upper level and reach for that book? What was the title? Who was the author? What was the genre? Libraries, bookstores, online booksellers have an ocean of books available for readers. Unless I know a specific title I feel lost in the choices. I beg for direction--something other than Amazon's top list. One book-please call to me and say you are the one I want to read! In the same sense, around nine in the morning eastern time, a slew of book announcements rifle through my Facebook and Twitter newsfeed. As a writer, I know that statistically this is the best time to post book news. BUT as a reader I feel overwhelmed, like I was standing on the floor of the library in the photo and a wave of books splashed down on me. As a writer I can help readers wade through the sea by using the same tactic as the golden arches (you know the vender). 1. Own a unique tag. Over time I have polished and built my platform on the one that works for me: Never Give Up Stories. Ever manuscript I write has this component to it.Never Give Up Stories implies adventure, suspense, yet offers hope. Choose one that tells layers about your writing. 2. Design an image that amplifies your tag. The image will take the meaning of your tag to a deeper level. In my picture, the dark colors on one side show suspense. White light on the other side shows hope. The nature reveals the adventure. Red words at the bottom declare not only the genre but also the audience. The tag is clearly visible at the top and a teaser invites readers to come. 3. Make your brand easily available without being intrusive. I don't need a golden arches on every corner. But I do want one when my stomach growls or I am sleepy while driving, (their coffee is strong enough to keep an elephant awake). This idea goes beyond your website. The image needs to appear wherever readers of your genre might go. Even just the tag line needs to pop up where your readers happen to be. If I said, two all beef patties, special sauce, lettuce, cheese pickles on a sesame seed bun (the 1975 commercial for the vendor in today's post) an image would probably pop in your head. Maybe not the burger. Perhaps the playground where your child giggled with chicken nuggets in his hand. Maybe the shamrock shake. Right? Yes. Your tag and image needs to do the same. THIS IS HOW TO BE NOTICED IN A SEA OF BOOKS. 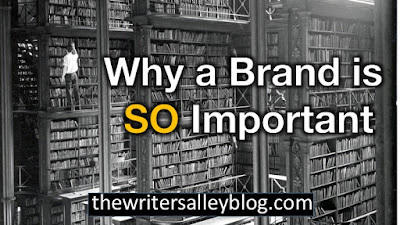 Your brand is a way to draw readers to your books. The carrot enticing reader to the shelf or webpage where your books are waiting to be held and read. You may have heard about gathering a tribe. These are your readers. The ones who love your genre, your voice, your style of story. Finding the tribe can be hard. The golden arches don't look for me. They simply exist where I need them. 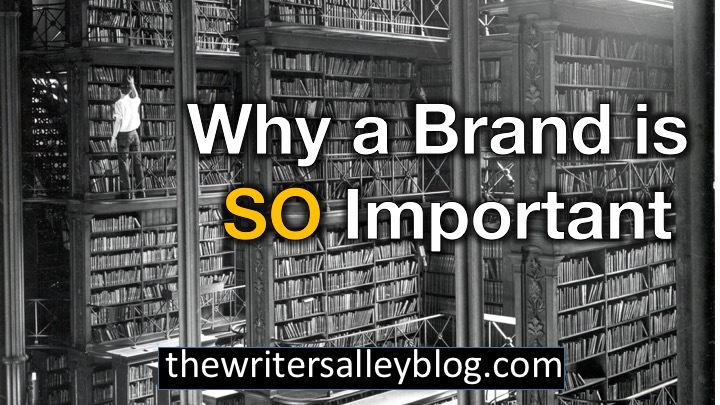 If your brand is clearly placed where your tribe can find it, they will come...and buy your books. DO YOU HAVE QUESTIONS ABOUT BRANDS? Ask! We are here to help. Mary, this is a good reminder of how we need to be thinking. It's a whole new world out there, at least since I started writing, and people aren't necessarily going to go looking for us. I realized a while ago that all my fiction has a subtext of people wanting to "go home," either in a literal sense, a spiritual sense or both. I'm still working on my brand, but it's going to be something like "welcoming you home." Ooooh Kathy, that s a great tag. I can already picture in my mind a myriad of pictures you could design to go along with that. Once you decide, start using it...with everything. Nothing imposing...just there. 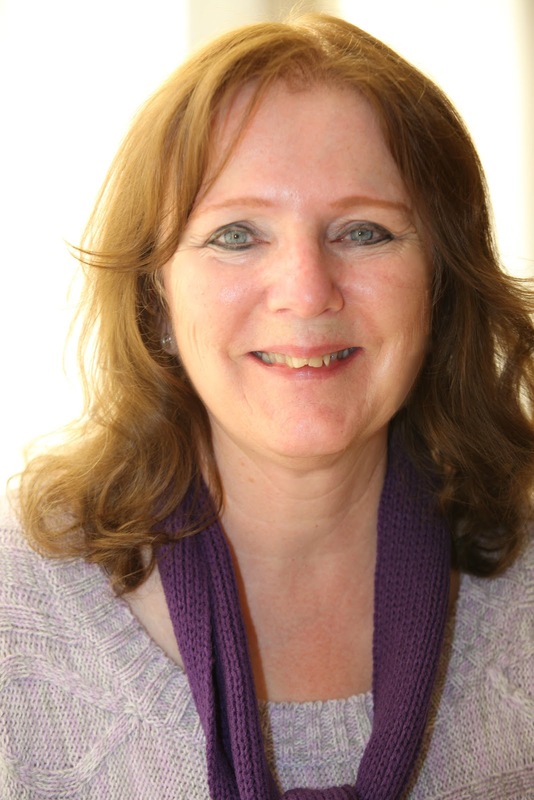 thanks for your post, Mary, and thanks for kick-starting my designer process! Robin, sounds like you have some awesome ideas flowing. Take your time. Nail it down. You want to be happy with your choice.